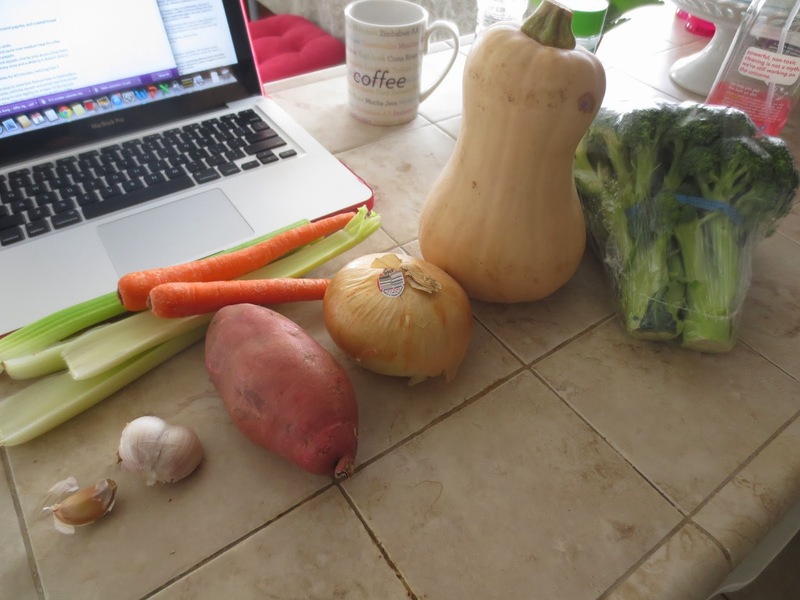 Butternut Squash and Veggie Soup! 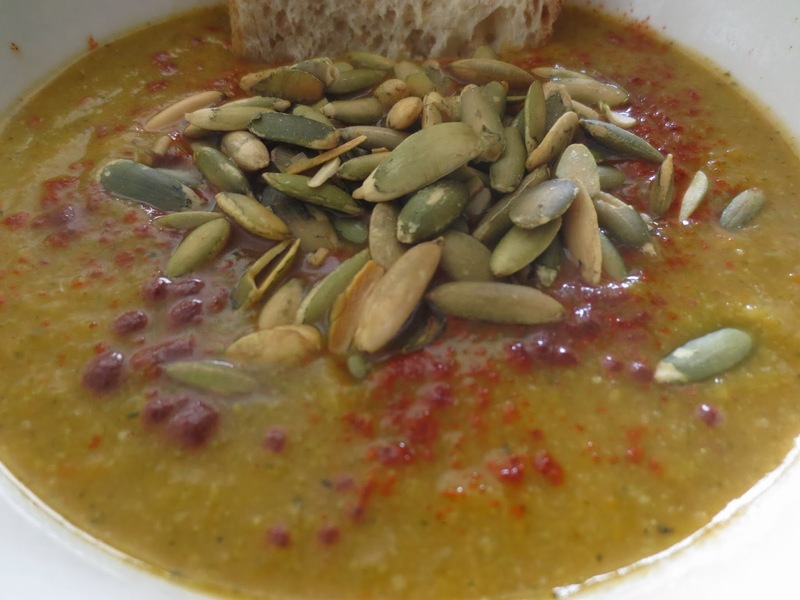 Fall into Fall with this veggie soup! 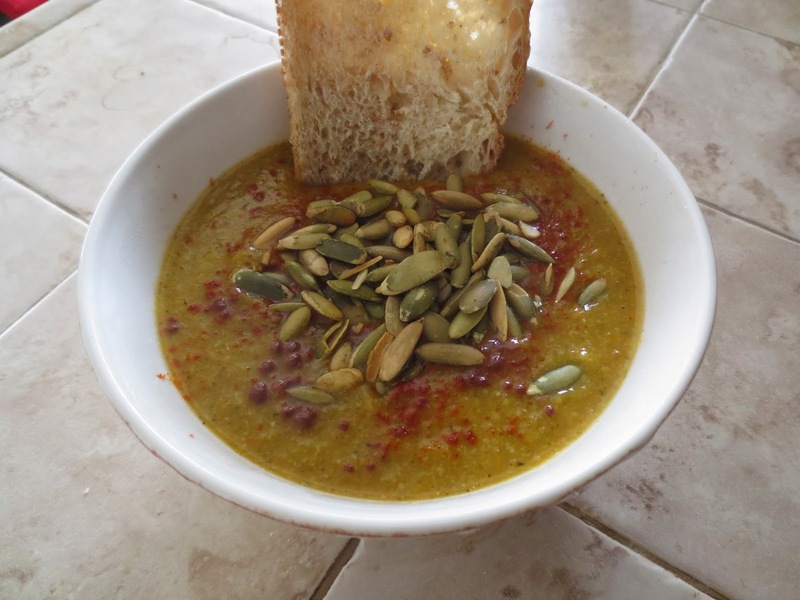 Its packed with vegetables and fiber, and has that yummy butternut squash flavor to it. 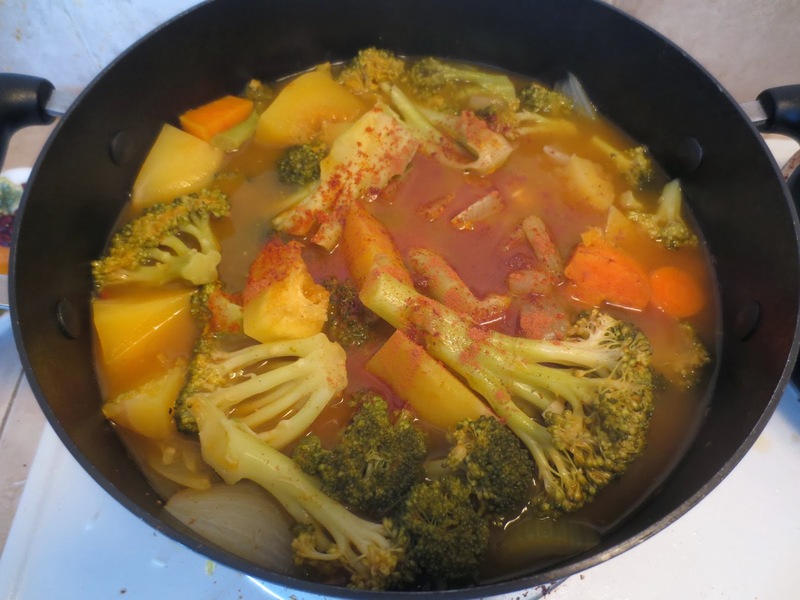 Its vegetarian too if you use veggie broth! Its so healthy, but tastes so good that I was obsessed over it for a week!!! 1. In a large pot, cook the onions and garlic with olive oil until onion is soft and cooked. 2. 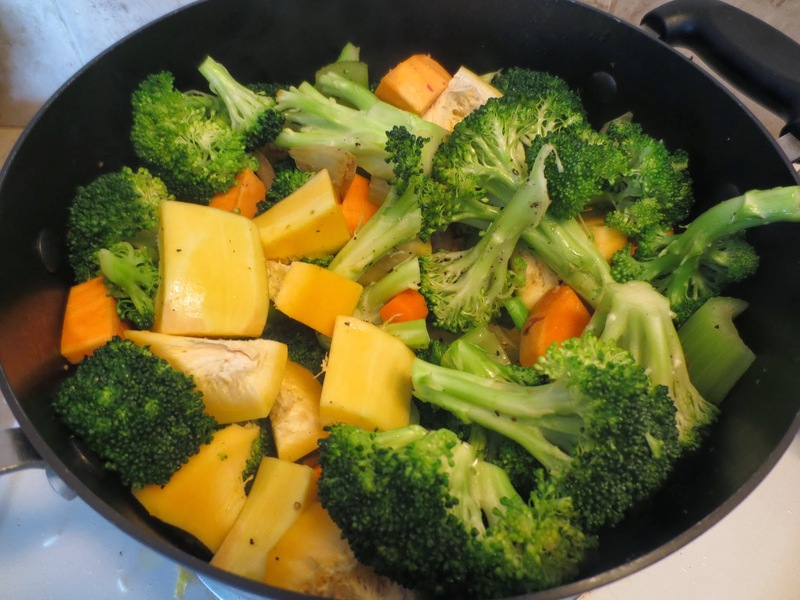 Add the celery, carrots, broccoli, sweet potato, and squash as they are chopped. Cook on medium to med-low heat. 3. Add some salt and pepper. Add cayenne pepper and cinnamon to taste. 4. Cook the veggies for about 5 minutes with the lid half on to steam it. 5. Add the veggie broth. Bring the soup to a boil, then turn down the heat to low, and simmer for 20 min, or until the squash and potato are cooked through (aka soft). It may require longer than 20 min depending on your stove. 6. 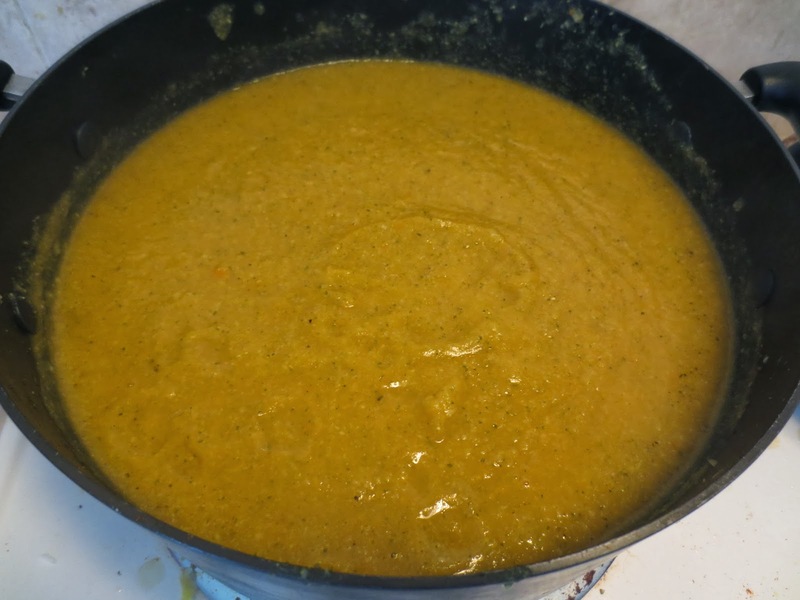 Puree soup in blender, or immersion blender. 7. Pour in bowls and top with some more cinnamon and paprika! 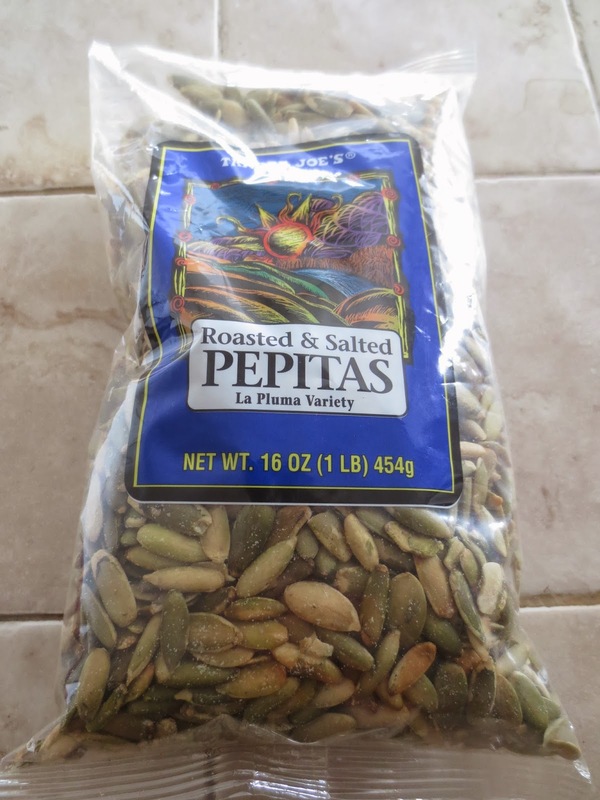 Add seeds for a hearty meal!